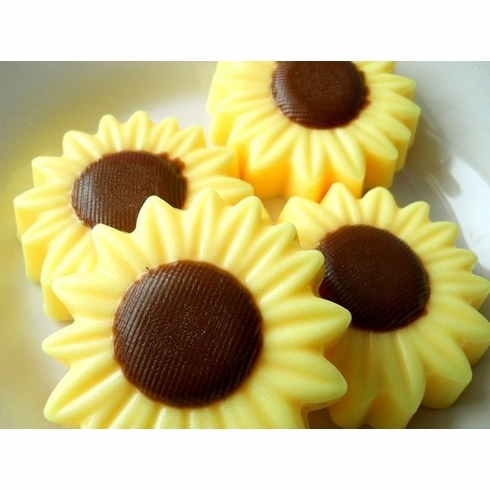 his beautiful sunflower soap will adorn any bathroom. Beautifully packaged as a gift because it comes in a clear cello bag, yellow raffia, and a brown gift tag. It is scented with a beautiful sunflower fragrance. Weighs approximately 2.5 oz and measures 3 X 3 X 3/4 inches. Made with 100% pure vegetable glycerin soap that is vegan friendly. Listing is for one soap.